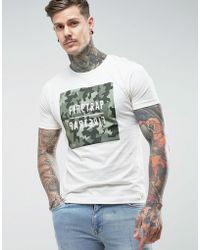 Established back in the early nineties, Firetrap is a London-based contemporary fashion brand that prides itself on its fine craftsmanship, use of luxurious materials and fabrics and meticulous attention to detail. 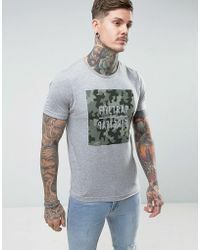 Heavily influenced by London's culture, this exciting brand oozes a unique and laid-back attitude. 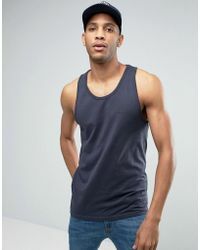 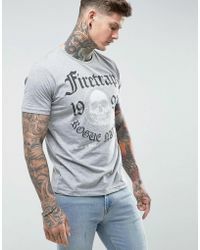 Firetrap's line of men's T-shirts is easy-to-wear and sophisticated. 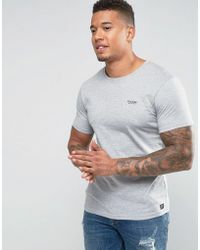 From relaxed long-sleeved pieces to unique pocket detailing to casual short-sleeved looks, this range of finely crafted T-shirts boasts an elegant muted colour palette and understated designs.